If you have been keeping up with our fresh new blog in recent weeks, then you are well aware that MeloTel is adamant about providing our clients with the highest level of service. Pleasing our customers is priority number one. And with the many amazing services that we offer, we have no choice but to always be on our toes! Perhaps, Albert E. Schindler put it best when he wrote “good customer service is the bread and butter of your business.” His recent About.com article detailing the five secrets of good customer service helps to define what MeloTel does to keep our customers happy and have them be part of a loyal client base. The number one customer service secret listed is “Build Business to Customer Loyalty.” Considered a top asset, Schindler insists upon getting to know his customers on a personal basis. Being able to refer to each of them by name helps to develop a welcoming atmosphere to his business. At MeloTel, we do our best to show our customers that their concerns matter to us. We consider it to be of paramount importance to our development of client loyalty. Of course, it doesn’t stop there! Secret number two, is to “provide true customer service”. Being more creative and more personalized are methods we employ to always make our clients feel that they are “at home” with MeloTel. The “one size fits all” approach to customer service is outdated, says Schindler. 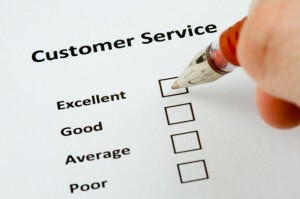 Business owners should cater their customer service to each customer individually. Another practice of MeloTel’s is to recognize each person’s specific needs, so that we can begin to offer something of greater value to each person who comes into contact with our company. “The Customer Is Always Right” represents Schindler’s third secret. Perhaps, a cliché more than a secret, this belief is one that should be practiced. It all has to do with the way you handle customer complaints. Be calm and show the client that you take the concern seriously. Sometimes compensating an angry customer – even one who is wrong – is more beneficial than having negative attention drawn towards your business. “Be honest with your customers,” writes Schindler. Secret number four encourages business owners to never give the impression that you are “trying to pull something over” on their customers. This is a surefire way to lose them for good. MeloTel clients can always be assured that they are being treated with this type of forthright approach. Being a trusted business is important to us. And finally, the fifth secret is to “educate your staff to be equally as concerned about your customers as you are.” If your customers feel that they cannot receive the help they need or that your employees do not know what they are talking about, your company will have a hard time ever regaining the respect those customers may once have had.